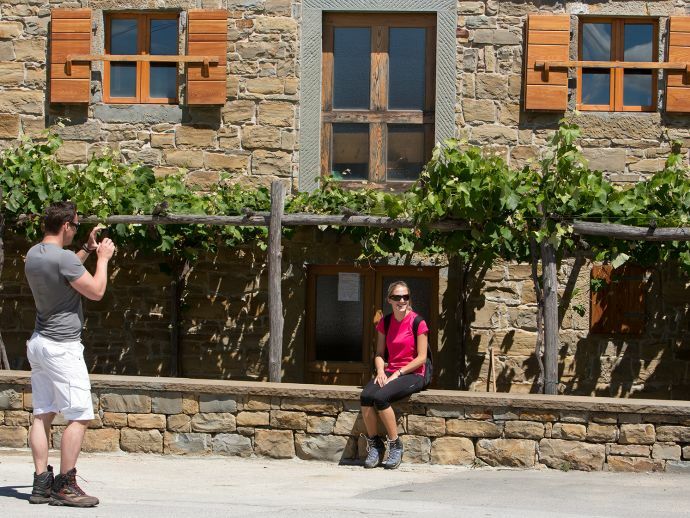 In April a lovely atmosphere will liven up the streets of Padna, as the beginning of summer holidays will be additionally highlighted by Olive oil and Chard Festival. In April a lovely atmosphere will liven up the streets of Padna, as the beginning of summer holidays will be additionally highlighted by Olive oil and Chard festival, organized by the Portorož Tourist Board. Visitors of the festival will be invited to take a walk through the village, taste various homemade specialties offered on stands or even buy the local olive oil. 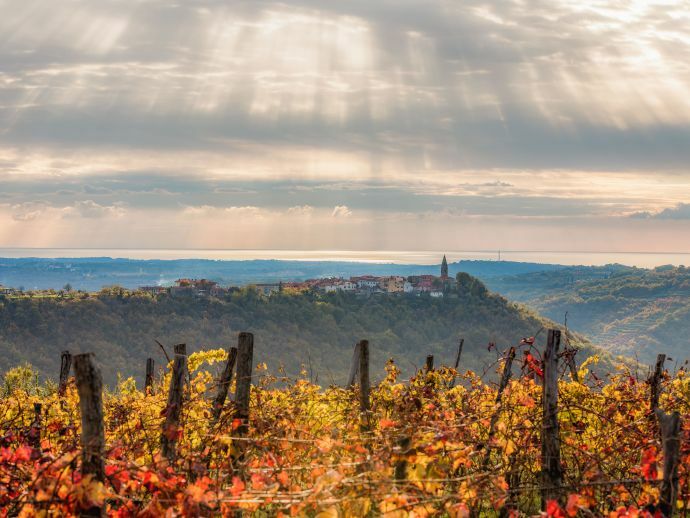 Besides Istrian culinary delights, visitor will as well have the opportunity to be active by joining the hiking tour or enjoy the traditional village’s feast in the evening. At the evening visitors will be entertained by the traditional Istrian music and a popular local music will make everybody dance. 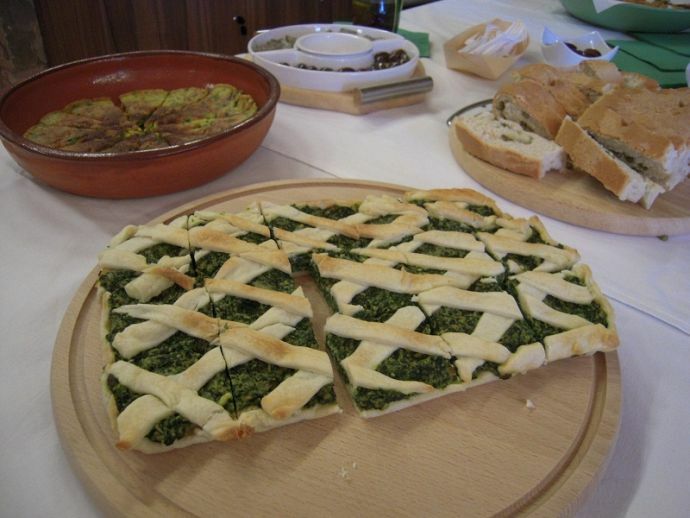 11:00 a.m. – 8:00 p.m. Istrian farmers market with olive oil and homemade produce. The villagers of Padna will open their yards and offer homemade dishes and local produce. Feel & Taste market: stands near the KD Božidar Jakac cultural centre, free tastings of the produce offered by market participants. 11:00 a.m. – 12:00 p.m. Opening of the festival, accompanied by the folk music ensemble Šavirinski godci and brass band from Buje (Croatia) at the KD Božidar Jakac cultural centre. 12:00 a.m. – 3:00 p.m. Spring hike (Padna – Nova vas – Padna) for families and recreation enthusiasts. 3:00 p.m. – 4:00 p.m. Guided tour of Padna. 6:00 p.m. – 7:00 p.m. Masterchef culinary duel: Sara Rutar vs. Darko Klemen. 7:30 p.m. – 8:30 p.m. Open air cinema, by the Božidar Jakac Gallery. 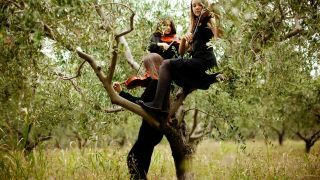 9:00 p.m. – 10:00 p.m. Istrian evening: Concert by the women’s vocal band Fritule. 11:00 a.m. – 2 p.m. Guided bicycle tour with electric bikes. Limited number of participants. 7:00 p.m. – 8:00 p.m. Announcement of the winner of the competition for the best chard dish. 9:00 p.m. – 10:00 p.m. Evening for ethno music: Concert of the Prifarski muzikanti band. A free bus will be organized on the relation Piran–Portorož–Lucija–Sečovlje–Padna. Departures from Piran: 10.00 a.m., 11.00 a.m., 12.00 a.m., 1.00 p.m., 2.00 p.m., 3.00 p.m., 4.00 p.m., 5.00 p.m., 6.00 p.m., 7.00 p.m.
Last departure from Padna: 10.00 p.m.
Organised by: the Negotium Society for Sustainable Development in cooperation with Tourist Board Portorož and the Padna local community. This event is partly co-financed by the EU project RIVIERA4SEASONS2 (programme Interreg SI-HR).